The state House approved the medicinal cannabis bill, but the Senate killed it during a closed-door meeting that reportedly violates Idaho’s Open Meeting Law. 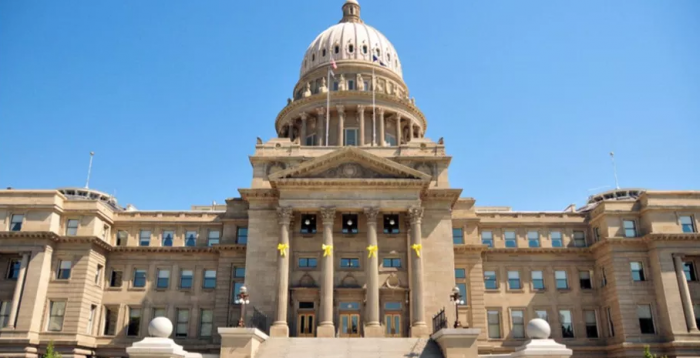 A bill that would have allowed limited use of medical cannabis oils in Idaho is now off the table after state Senators blocked its passage during an allegedly illegal closed-door meeting. The bill, which would have allowed those suffering from epilepsy to use and possess low-THC medical CBD oils, passed the state House with a 59-11 vote last week. But when the bill moved to the state Senate, supporters complained that legislative leaders were preventing it from being heard. Committee Chairman Lee Heider stopped Potts from continuing, and demanded that any further discussion on the issue take place in his office. An AP reporter attempted to follow them into Heider's office, but the chairman denied her request. Once the committee members returned to the main room, a motion was made to hold the bill in committee, which most likely will prevent it from being heard during this legislative session. A similar bill was approved by state lawmakers in 2015, but Idaho Gov. C.L. “Butch” Otter vetoed the bill, arguing that it would open the floodgates to full legalization in the state. Otter still opposes any form of cannabis legalization, and would almost certainly veto this bill if it did pass the state Senate. The state House, however, approved the bill with such a large majority that it would override the governor's veto if matched by majority support in the state Senate. In the meantime, local parents and businesses have bravely attempted to circumvent state law in order to treat children suffering from intractable epilepsy. The U.S. Food and Drug Administration (FDA) has approved a study allowing 34 epileptic children in the state to receive CBD-based medicine, but state law enforcement are working hard to crack down on any other uses of medical cannabis. In 2016, a local mother lost custody of her children for treating her three-year-old daughter's epilepsy with homemade canna-butter. And last year, local officials denied a building permit to a dietary supplement store that hoped to sell CBD supplements.